Ms. Hamilton practices exclusively in the area of family law. Ms. Hamilton has been a Certified Family Law Specialist since 1992. Her experience includes handling complex divorce matters, often including business valuation issues and other forensic matters. Ms. Hamilton also specializes in custody litigation and handles issues concerning child support, paternity, cohabitation, and premarital agreements. 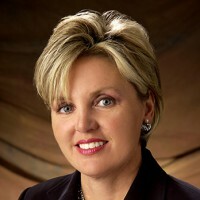 Ms. Hamilton has served as the President of the Family Law Section of the State Bar of Arizona, is a member of the Arizona Association of Family and Conciliation Courts (AZAFCC), served on the Executive Board for the Family Law Section for approximately 8 years, has served on the Judicial Training Committee for Family Law Judges and has been honored to be named as a member of the Litigation Counsel of America. Membership into the organization is extended to those individuals who exemplify superior qualifications and leadership in their respective state and area of specialty. Ms. Hamilton was selected as part of a premier group of attorneys in Arizona chosen to receive an invitation to the organization.